SEASONS greetings to all! I say that as the seasons seem mixed here on the Fylde coast of Lancashire just now. There is snow on the ground but also signs of spring in our gardens, with snowdrops but also crocuses bringing their bright colours and promise of summer. 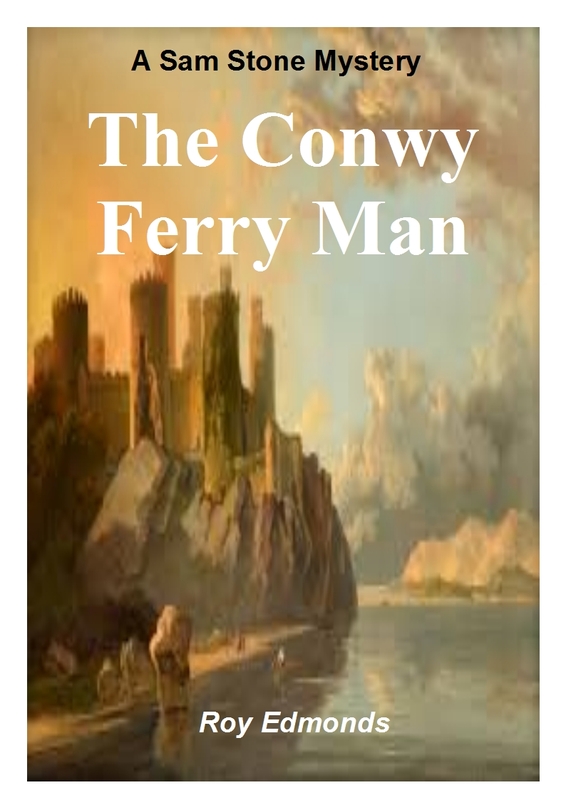 It is that time of year where our next novel is set, in the beautiful medieval town of Conway, North Wales, along with the dramatic Cork peninsula of Ireland. This will be the fourth Sam Stone investigation and mystery, with the usual mix of light thriller and romance but some differences. 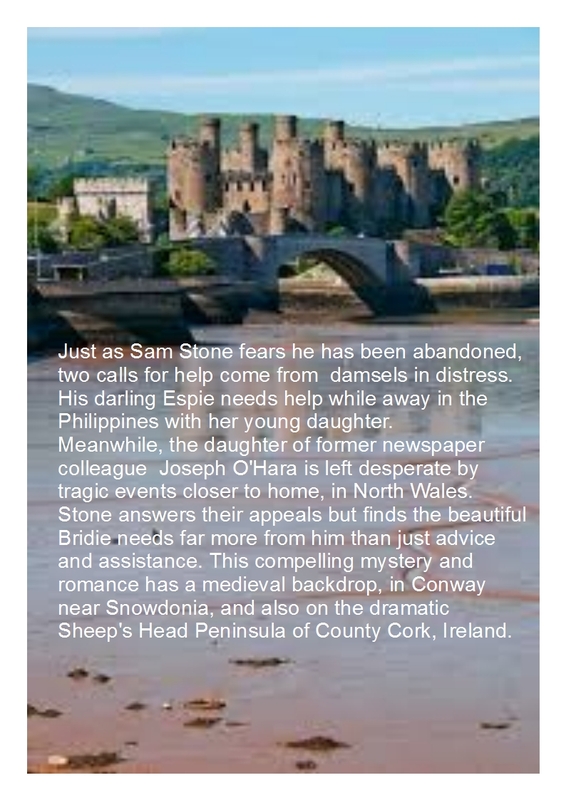 Here there are more viewpoints than just our handsome but troubled journalist and author Sam. The wider viewpoint adds perspective, as well as humour, and I'm very excited about it. Details of the book, expected to be published this summer, should appear soon on our Books page. However, as a taster, I've included drafts for the front and back covers on this post. They both show pictures of Conway, or Conwy as it is in the Welsh. The varying British seasons were always a delight to me and much missed when travelling and working overseas, though there were usually many compensations! Whether travelling or at home, some reading is welcome. Thomas Carlyle, the Victorian philosopher and writer, said that a good book is the purest essence of the human soul. It was the reason he started the London Library, as he believed a book should be read alone, preferably in contemplative silence. I hope you enjoy the free reading on our various pages here. This light literary website was started by a retiring journalist tired of all that bad news we hear. Consequently we offer stories of a humorous or uplifting nature. Books can be obtained through this site, with Kindle editions from Amazon and paperbacks by FeedARead.com, sponsored by the British Arts Council. Any income from their sale helps maintain this non-profit-making website, supported by readers around the world. Our pages are updated regularly, usually once a month. We wish you well and welcome your comments.